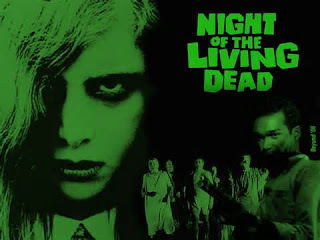 Zombies And Toys: The ONLY way to watch a true classic...with the proper introduction of course !! The ONLY way to watch a true classic...with the proper introduction of course !! Fans attending this year's Flashback Weekend 2013 in Chicago on Friday, August 9th will have the opportunity to view (in it's glamorous entirety) - the original 1968 classic "Night of the Living Dead" in 35mm format on its 45th anniversary. So ? Not impressed ? How about viewing it with an introduction from the man that directed this golden beauty ? - the one and only Godfather of the Dead, Mr. George Romero ! !